Now, if you cant come to Doc, she can come to you! When your toys are hurt or sick, the Doc Mobile will get there quick with everything needed including on-site cuddles to fix them good as new. 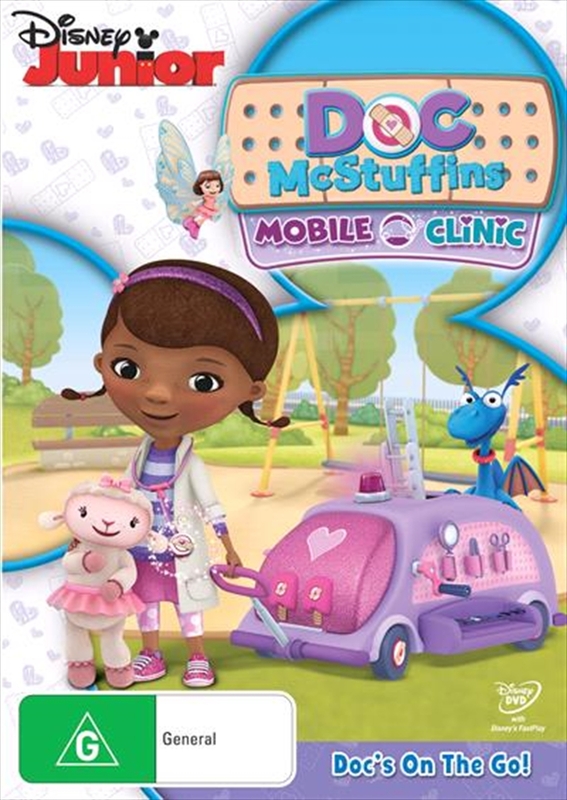 Ride with Doc and her trusty team as they rescue Dress-Up Daisy from a tree. Then, race to the park in time to help a windup mouse get back to doing fantastic flips. Get ready to get movin with five amazing, song-filled episodes. Wherever adventure takes you, Docs Mobile Clinic is your ticket to healthy, happy fun!